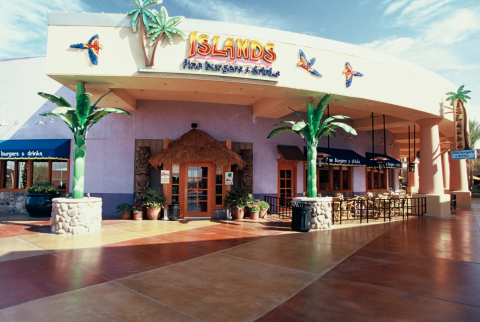 Join us for lunch, happy hour or dinner at our Desert Ridge Islands Restaurant located in Desert Ridge Marketplace. Outdoor patio seating for enjoying the mild desert weather with family and friends. Islands specialty burgers, like the Maui Burger with guacamole, are a guest favorite that pair perfectly with fresh cut fries. 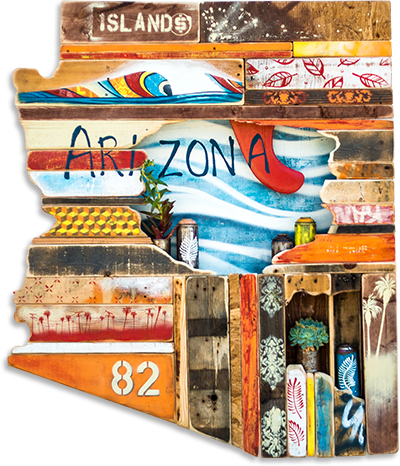 Great TVs make watching the Diamondbacks, Cardinals and other sporting events with a cold beer a great time. Join us for happy hour specials weekdays from 3pm to 6:30pm to enjoy your favorite beer, wine, tropical drinks and appetizers.